Have you ever heard about PiKon 3D Printed Telescope? It is the Raspberry Pi based telescope made by a physicist in England, and got £5,850 funding at the crowd funding site Indiegogo. One day, a WIZnet engineer decided to make the similar one, WIZKon – an Internet Telescope that its platform is WIZwiki-W7500. Let’s see how he made it. It is very simple and easy to follow. The following board and electronic parts are required. 3D CAD File : The main body of the telescope will be made by 3D printer. You download the CAD file from the link. If you use above CAD file, you could get the below bodies that printed by the 3D printer. As shown below images, connect the wires to the main board of the serial camera. We are going to use this board to compress the image data from telescope into JPEG format and transmit it to the main platform board, WIZwiki-W7500. Prepare the serial camera, Wires and Pin headers. Connect the wires by soldering to the PCB as below. Connect the pin headers to the end of the wires as below. Mount the above camera module in the middle of the telescope. As shown in below images, we assemble the bodies of the telescope and lenses. For the exterior body of the telescope, we used the black paper to save the cost. Connect the camera module in the body of the telescope, to the WIZwiki-W7500 as below. You can download the mbed code about processing the camera image and Ethernet connectivity from below link. WIZnet (Wizard of Internet) is the IoT Device Platform company. WIZnet (Wizard of Internet) is a unique Hardwired Internet Connectivity Solution Provider. WIZnet provides IOcP and HW TCP/IP chips, best fitted for low-end Non-OS devices connecting to the Ethernet for the internet of things. WIZnet’s core technology is “Hardwired TCP/IP“. WIZnet’s Hardwired TCP/IP solutions provide better performance and stability than any other software Internet connectivity solutions. 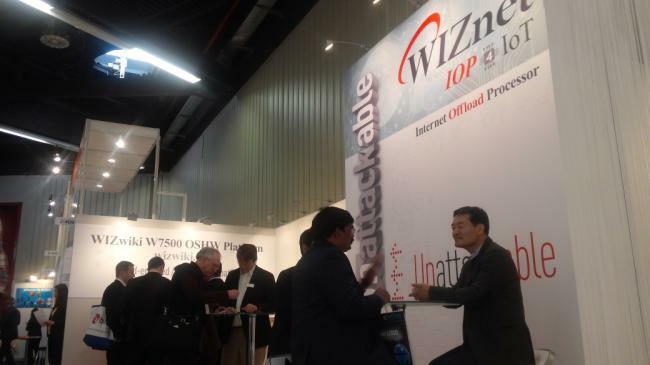 WIZnet develops Internet offload co-Processors for the “Internet of Things”. The Internet Offload co-Processor consists of a Hardwired TCP/IP and an Ethernet PHY. The Internet Offload co-Processor easily adds Internet capability to any application. It works with any MCU and does not require an operation system. WIZnet is developing Hardwired TCP and IPv4/IPv6 Dual Stack chips. WIZnet hardwired TCP/IP chip is the Unattackable hardware network engine for preventing network attacks such as flooding, spoofing, injection. The hardware TOE (TCP/IP Offload Engine) technology, which is implemented as Hardwired logic from Ethernet MAC Layer to TCP/IP Layer, is able to protect IoT system against network attack under excessive number of flooding packet by making discard flooding packets detected. Hardware TOE shows a superior performance compared to the software TCP/IP stack solutions. High Speed Serial Peripheral Interface, maximum 8 independent hardware sockets support. More stable than software TCP/IP stack under SYN flood attack. WIZnet provides various network protocol libraries and useful tutorials / application examples. WIZNET’S HOTTEST DEALS OF THE YEAR! We are currently handing this SPECIAL COUPON out to our valuable customers to keep it cool this hot summer for a limited time only. 10% discount to your total order amount before shipping, handling, and taxes. Coupon only available at our online store. 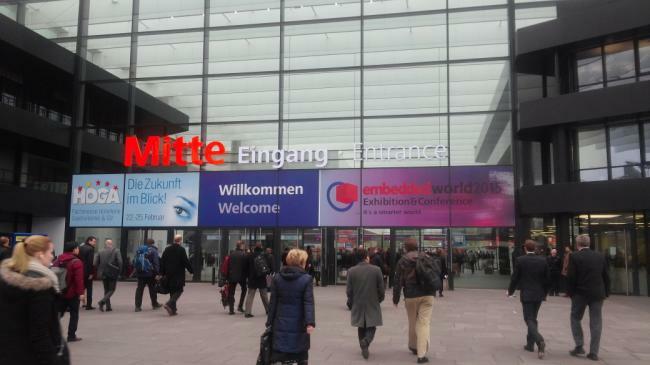 WIZnet participates in Embedded World 2015 which is held in Nurnberg, Germany from Feb 24 to 26. In this exhibition, we announce our mission to improve the positioning within the semiconductor market as the sole hardware TCP/IP leader and the upcoming IOP(Internet Offload Processor) vendor. 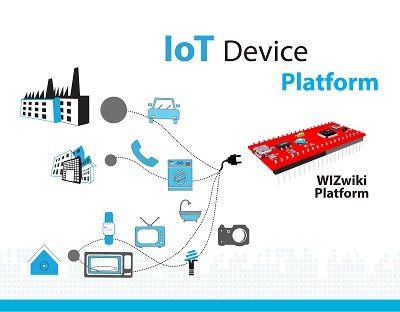 We also introduce the IOP4IoT concept along with other topics such as “Unattackable Firewall SoC, WizWiki W7500 platform, and WIZnetian in WIZnet museum. WIZnet provides IOcP (Internet Offload co-Processors) and HW TCP/IP chips, best fitted for low-end Non-OS devices connecting to the Ethernet for the internet of things. WIZnet, engaged in the Open-source HW movement, proposes a Shared Purpose – a collaborative business model for a demanded creation through partnership. IOcP has been embedded in a wide variety of niche applications, most notably as standard in DIY makers based on the Open-source HW platform originated by Arduino. IOcP is a co-processor for MCU that offloads the internet processing.